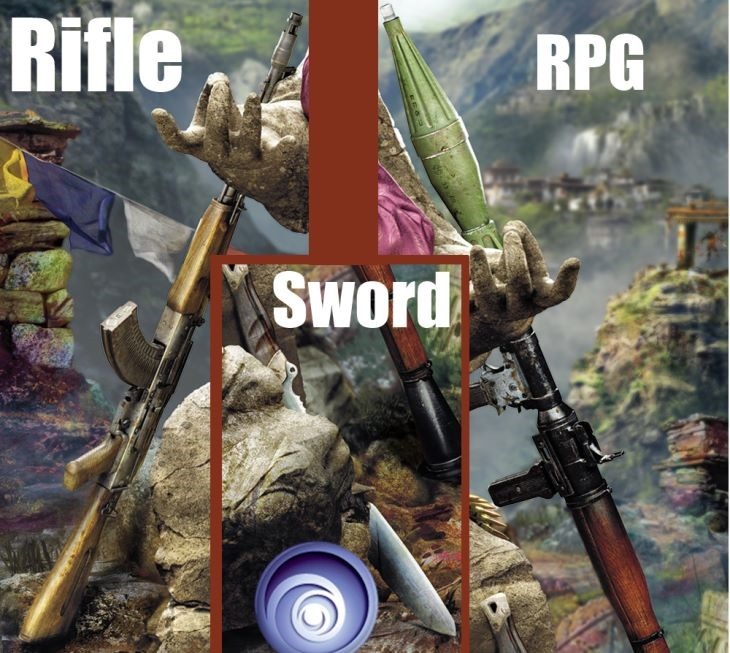 We all knew it was coming and now Ubisoft has officially revealed that Far Cry 4 is in the works and will be released on the 21st of November for the PlayStation 3 & 4, Xbox 360 & One and PC. The press release, shown below, explains the basic story that you will be dropped into an area known as Kyrat which is located deep in the Himalayas. The area is teeming with dangerous wildlife and the not-so-odd bad guy. The main antagonist in Far Cry 4 is being described as a despotic self-appointed king and obviously your job will be to initially survive and then save the area from the evil king. As before you will be finding an array of weapons, vehicles, animals and characters in the massive open world environment for you to utilise in your quest. I wouldn’t expect much more information to leak out before E3 but what we did get was a picture of the pack shot that we’ve done a bit of analysing on. So we can see the king see’s himself as a bit of a stylish player with his pink suit, diamond earing and another truly bizarre haircut. When we zoom into certain parts we can see that the violence that is expected in a Far Cry game is still in existence. 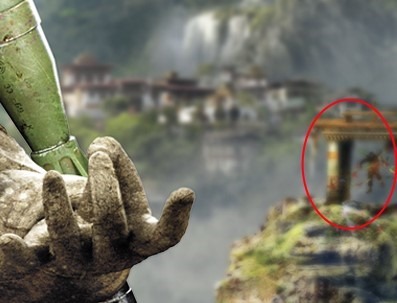 With some poor soul currently trussed up in what looks like an Asian structure of sorts, which is absolutely no surprise as we already know the game is set in Asia. The village set in the mountain in the background leads me to hoping that we are going to be climbing rock faces to attack villages and leaping of said rock faces to get away from the enemy soldiers. Taking a look closer to the front and we see our illustrious king being flanked by 3 distinct weapons confirming that the game’s weapon based gameplay will cover the entire spectrum from melee based combat with the sword to taking out vehicles, or bosses, with the rocket propelled grenade. The quickest way to traverse the map in Far Cry 3 was by grabbing a handy hang glider and jumping off the side of the mountain. 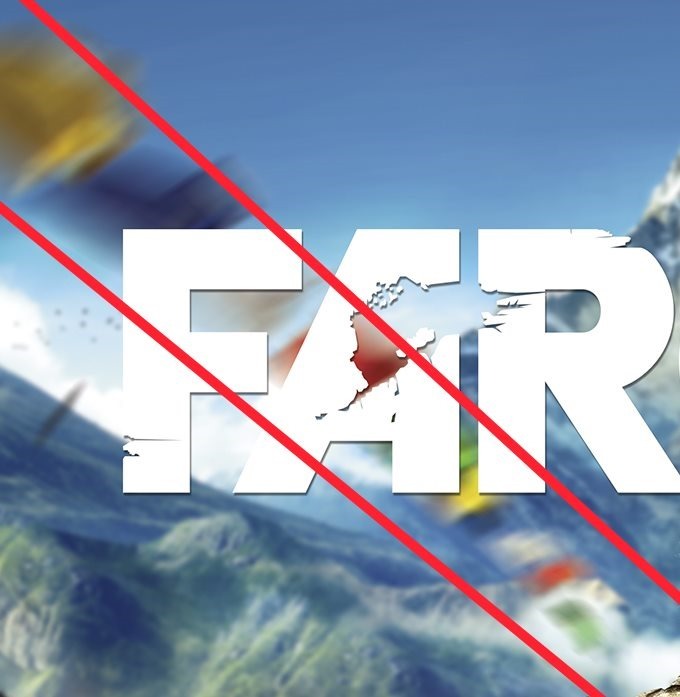 While we haven’t been told anything about Far Cry 4 yet I did notice some perfectly placed flags in the box art which lead me to hope that we are going to be able to use them as zip lines to traverse the world. And last but definitely not least we have the very obvious damage that our fabulously dressed king has already done to the religious monument. He’s taken the head off the peaceful statue and implied a replacement it with his own. There is also a very resigned look on the face of his prisoner as if all hope has been lost and he looks like he is willing that grenade to go off. So there is my two-bit analysis of the pack shot, if you’d like to do your own here is a link to the high definition version of the shot. We have also been given some information around the limited edition version of the game that come with three extra single player missions where you will need to save Hurk from Far Cry 3 as well as getting to use an extremely overpowered Harpoon to take out your enemies. And that’s all we have, here is the press release and make sure you let us know if you saw something interesting in the pack shot. London, UK — May 15, 2014 — Today, Ubisoft announced Far Cry® 4, an open-world, first-person shooter that delivers the most expansive and immersive Far Cry experience ever. Far Cry® 4 will be available November 21st for PlayStation 4® computer entertainment system, PlayStation® 3 computer entertainment system, Xbox One, the all-in-one games and entertainment system, Xbox 360 games and entertainment system from Microsoft and Windows PC. 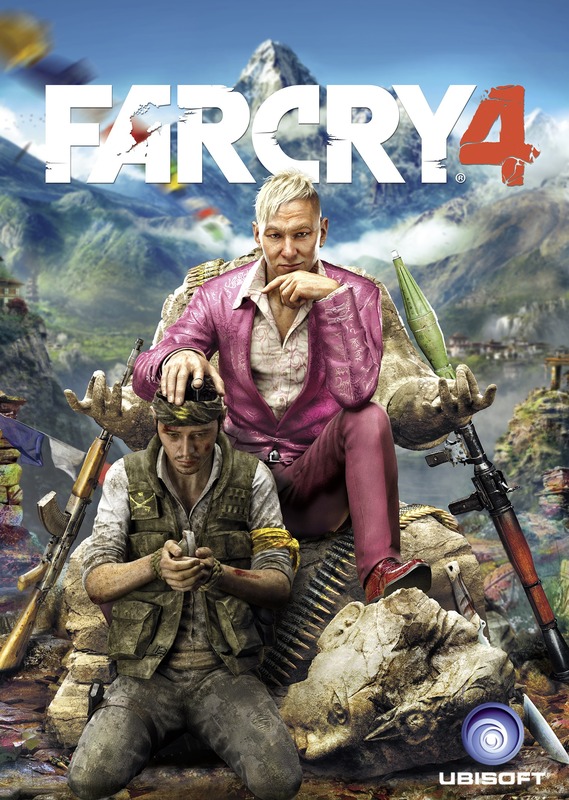 In Far Cry® 4, players find themselves in Kyrat, a breathtaking, perilous and wild region of the Himalayas struggling under the regime of a despotic self-appointed king. Using a vast array of weapons, vehicles, and animals, players will write their own story across an exotic open-world landscape. 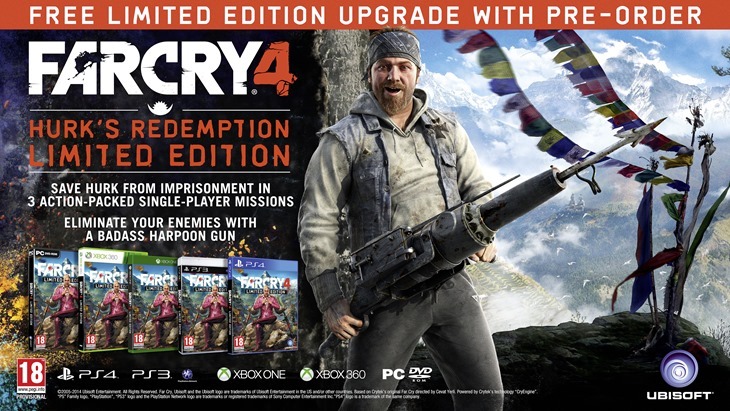 Customers who pre-order Far Cry® 4 will receive the Limited Edition which includes Hurk’s Redemption, a series of three action-packed single-player missions featuring the popular character Hurk from Far Cry 3’s DLC. The Limited Edition also includes Hurk’s signature harpoon gun called “The Impaler”. The pre-order is now available at all major retailers. 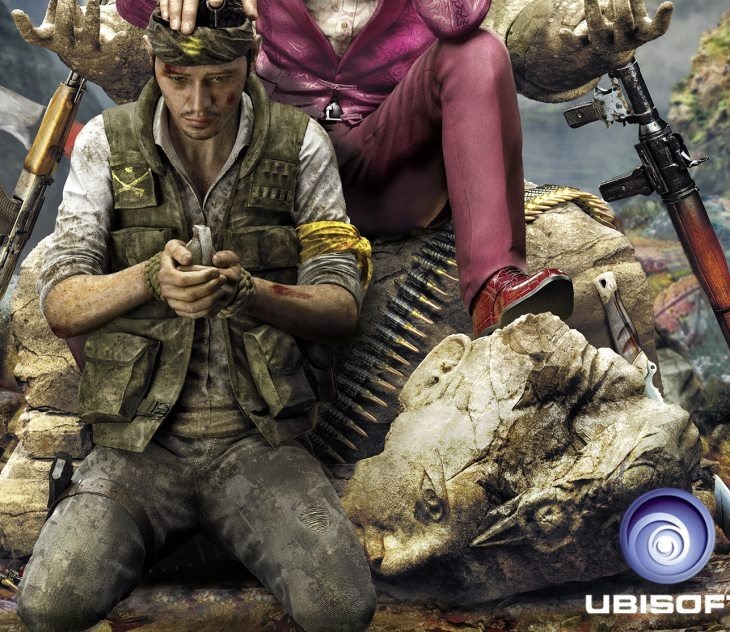 Fans can tune into Ubisoft’s Media Briefing at E3 for an exclusive first look at Far Cry® 4. More information about Far Cry® 4 also can be found at: www.farcrygame.com.